FG set to publish names of suspected looters – Royal Times of Nigeria. The Attorney General of the Federation and Minister of Justice, Abukabar Malami SAN, has disclosed that President Muhammadu Buhari has directed all relevant agencies to compile documents on names of all looters with a view to enforce the judgment of a Federal High Court in Lagos ordering the government to release to Nigerians information about the names of high ranking public officials from whom public funds were recovered. The court had also ordered the government to tell Nigerians the circumstances under which funds were recovered, as well as the exact amount of funds recovered from each public official. 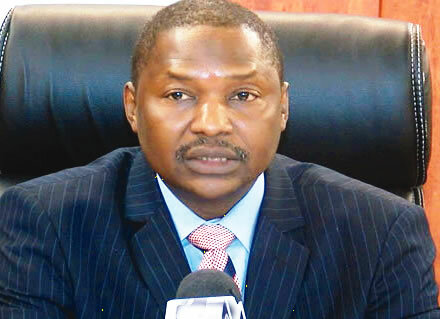 Malami made the disclosure yesterday during a meeting at his office in Abuja with a delegation from Socio-Economic Rights and Accountability Project (SERAP) – disclosed today in a statement by SERAP executive director, Adetokunbo Mumuni. “We appreciate the opportunity to meet with the Attorney General of the Federation and look forward to working with him as the government strives to enforce this very important judgment. We hope that the implementation of the judgment will now happen sooner rather than later. We believe that effectively implementing the judgment will be a victory for the rule of law, show the way forward in the fight against corruption and impunity of perpetrators in the country, as well as demonstrate Buhari’s oft-repeated commitment to tackling the problem of grand corruption,”.